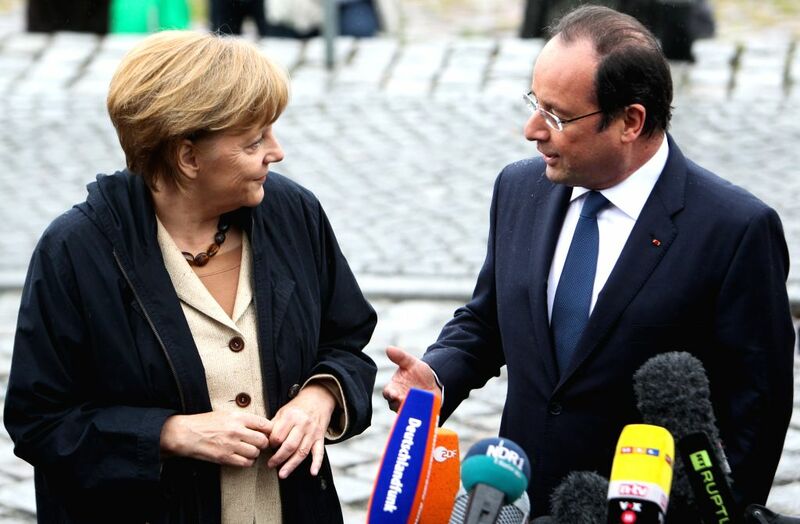 RUEGEN (GERMANY), May 9, 2014 (Xinhua) -- German Chancellor Angela Merkel (L) and visiting French President Francois Hollande speak to the media during a welcome ceremony on the Baltic Sea island of Ruegen, Germany, on May 9, 2014. French President Francois Hollande arrived here on Friday for a two-day visit. 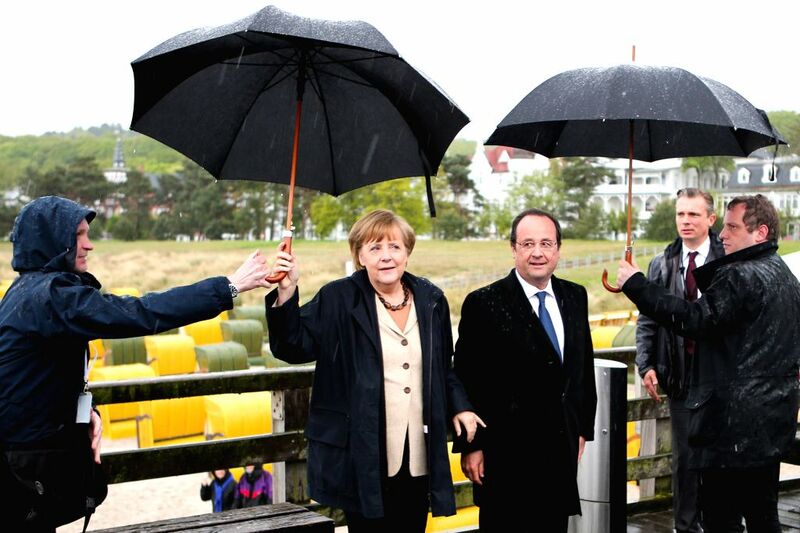 RUEGEN (GERMANY), May 9, 2014 (Xinhua) -- German Chancellor Angela Merkel (2nd L) and visiting French President Francois Hollande (3rd L) pose for photos on the Baltic Sea island of Ruegen, Germany, on May 9, 2014. 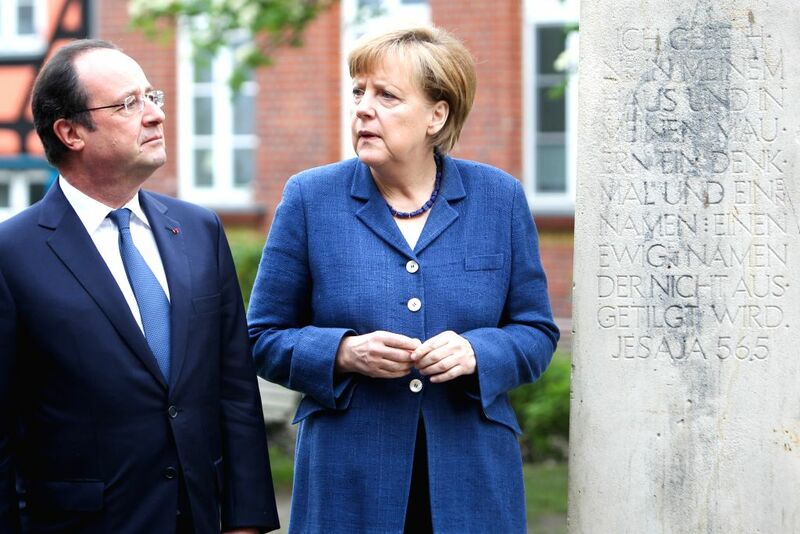 STRALSUND (GERMANY), May 10, 2014 (Xinhua) -- German Chancellor Angela Merkel (R) and visiting French President Francois Hollande view a monument in a cloister in the Baltic sea town of Stralsund, Germany, on May 9, 2014. 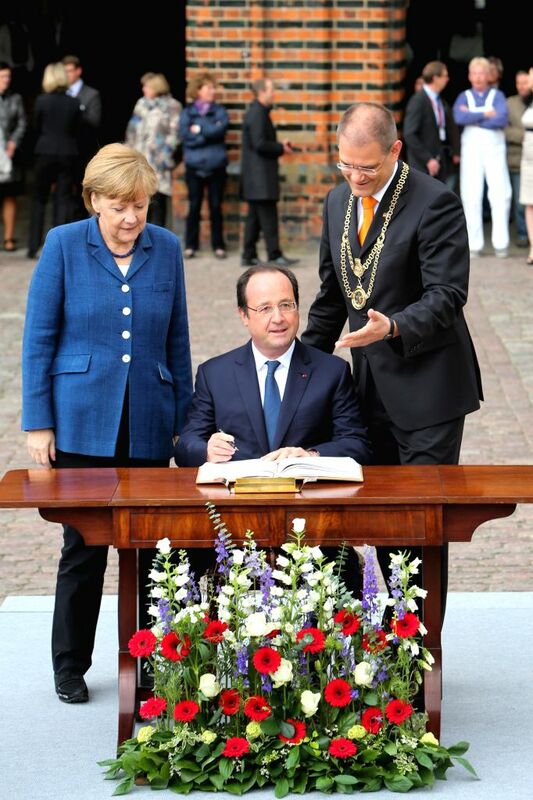 STRALSUND (GERMANY), May 10, 2014 (Xinhua) -- German Chancellor Angela Merkel (1st L) waits while visiting French President Francois Hollande autographs the city's guest book in the Baltic coastal town of Stralsund, Germany, on May 9, 2014.